Eppendorf is a biotech company which develops, produces and distributes systems for use in life-science research laboratories worldwide. Its product range includes pipettes, dispensers and centrifuges as well as consumables such as micro test tubes and pipette tips. In addition, Eppendorf provides instruments and systems for cell manipulation, automated devices for liquid handling and complete equipment for DNA amplification. A series of complementary products manufactured by ourselves and other companies round off this product range. Eppendorf products are aimed at academic and commercial research institutes as well as industrial companies in the field of biotechnology or in other sectors using biotech research processes. Our main market is North America followed by West Europe and Asia. Eppendorf was founded in Hamburg in 1945 and has more than 2,000 employees worldwide. The company has subsidiaries in 20 countries and is represented in all other markets by distributors. Hamburg-based Eppendorf AG have acquired Calibration Technology Ltd, headquartered in the National Technology Park Limerick, Ireland, on November 1. From October 1, 2016, until January 15, 2017, young researchers not older than 35 years, with an advanced degree, who are working in Europe can apply for the Eppendorf Award for Young European Investigators. Eppendorf has announced the latest Advantage promotion period, until December 31st 2016, on a range of best-in-class solutions which drive productivity in the laboratory. Eppendorf’s new refrigerated Centrifuge 5920 R combines extraordinary high capacity with enhanced temperature management in a very compact and ergonomic product design. In research involving pipetting, it has, on occasion, often been the case that experimental results were not easily reproducible, even though all variables within the experimental procedure have undergone a thorough review. Eppendorf has been awarded the Company of the Year accolade in the SelectScience® Reviewers’ Choice Awards™ 2016, in recognition of the company’s contribution to scientific research over the past year. Until 30th June 2016 researchers and technicians can enjoy savings of up to 25% off selected products with the Eppendorf Advantage™ Spring offers. Eppendorf and the journal Science are now accepting applications for the 2016 Eppendorf & Science Prize for Neurobiology. Eppendorf AG's new app offers a variety of useful aids for everyday laboratory work in addition to product information that has been optimized for mobile devices. Eppendorf celebrated the launch of its new ultra low temperature freezer line, the CryoCube® F570, F570h, FC660, and FC660h, with an exclusive event at the London ICEBAR. With savings of up to 21% until June 2015, the latest Eppendorf Advantage™ offers provide an ideal solution for those who rely on their top quality cells being handled with care and precision. The new CryoCube F570, F570h, FC660, and FC660h ultra-low temperature freezers combine maximum sample security with improved functionality. Eppendorf and the journal Science are now accepting applications for the 2015 Eppendorf & Science Prize for Neurobiology. Eppendorf has launched its latest Advantage Offer, enabling customers to purchase premium quality products at very favourable prices. The annual amateur photography competition run by the Society of Biology recognises some of the most inspiring images of the natural world. Eppendorf has launched the latest offering in its range of molecular biology instruments. Eppendorf has introduced a new series of Eppendorf Serological Pipets for cell culture applications. Until 15 January 2014, young researchers working in Europe, who are not older than 35 years, are invited to apply for the Eppendorf Award for Young European Investigators. This highly prestigious prize was first established in 1995. It acknowledges outstanding contributions to biomedical research in Europe based on methods of molecular biology, including novel analytical concepts. The winner is selected by an independent expert committee chaired by Reinhard Jahn (Max Planck Institute for Biophysical Chemistry, Göttingen, Germany). The award winner 2014 will receive: Prize money of 15,000 Euro. An invitation to the prize ceremony at the EMBL Advanced Training Centre in Heidelberg, Germany, on 22 May 2014..
Eppendorf has launched seven new models to its epMotion range of automated pipetting systems. The latest Eppendorf Advantage promotion delivers substantial savings on the company’s shakers, centrifuges and freezers right up until 31st December 2013. Eppendorf has introduced the new Reference® 2 pipette to its range of liquid handling instruments. Eppendorf has launched the new aid for electronic pipetting, Easypet 3. Ever since the launch of the company’s first performance-defining Mixer and the first Thermostat in 1964 Eppendorf has been at the forefront of mixing and temperature control technology for µL volumes. Eppendorf Centrifuges 5810 / 5810 R with increased capacity Feb 1, 2011 Eppendorf now introduces additional rotors and accessories for increased capacity and aerosol-tight centrifugation of plates and tubes. 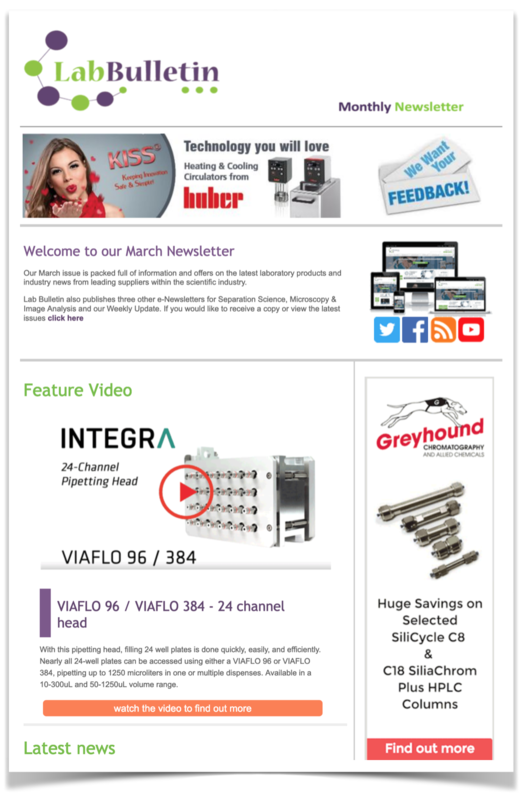 Centrifuges 5810/5810 R benefit from 25 % higher max. capacity (4 x 500 mL) and 40 % increased 50 mL conical tube capacity. Winner Eppendorf & Science Prize for Neurobiology 2010 Dec 18, 2010 The Eppendorf & Science Prize for Neurobiology 2010 has been awarded to the Canadian scientist, Dr. Christopher Gregg, Postdoctoral Fellow at Harvard University for his research on maternal and paternal gene expression in the brain. His work focuses on genes that alter their expression in the brains of offspring according to whether they were inherited from the father versus the mother. Understanding the nature of parental effects on gene expression is potentially important for uncovering the basis of complex human neurological diseases such as autism and schizophrenia as well as eating disorders. 2010 Nobel Prize in Medicine highlights a life-changing application of micromanipulation Dec 13, 2010 This year's Nobel Prize in Medicine is unique in Nobel Prize history, being the first to be awarded in the area of reproduction. British scientist Robert G. Edwards receives the award for his pioneering achievements in human in vitro fertilization (IVF). Together with his colleague Dr Patrick Steptoe (deceased 1988), a gynaecologist, he developed the technique of fertilizing human oocytes outside the body before implantation in the womb. New Brunswick products expand Eppendorf’s portfolio Dec 2, 2010 From 1st January 2011, Eppendorf and New Brunswick will be fully integrated in the UK and Ireland. The start of the New Year will see Eppendorf UK offering complementary products from New Brunswick: energy-efficient ULT freezers, state-of-the-art CO2 incubators, high-end biological shakers and small to large-scale fermentors and bioreactors. Eppendorf UK & New Brunswick UK – A perfect complement Nov 1, 2010 From 1st January 2011, Eppendorf and New Brunswick Scientific will be fully integrated in the UK and Ireland. This is a natural evolution following on from Eppendorf AG's acquisition of New Brunswick Scientific in late 2007. Eppendorf at the Biotechnica 2010 Sep 29, 2010 As the primary European forum for biotechnology and life science professionals, the BIOTECHNICA offers the perfect platform for the launch of the Eppendorf Award 2011. Researchers up to 35 years of age and working in Europe are eligible to apply for the Eppendorf Award for Young European Investigators 2011. 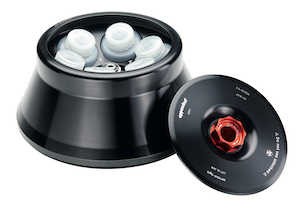 Quietly cool – two new refrigerated microcentrifuges from Eppendorf Sep 23, 2010 Eppendorf's refrigerated 18 and 24-place microcentrifuges add coolness to Eppendorf's Silence | Speed | SimplicityTM philosophy for centrifugation. With a small footprint, exceptionally quiet operation and a FastTemp function for quick pre-cooling, Centrifuges 5418 R and 5424 R set new standards for refrigerated microcentrifuges. New Eppendorf Advantage promotion – special offers on centrifuges, Cell Culture Bundles and Eppendorf LoBind Tubes! Sep 2, 2010 Eppendorf UK's autumn Advantage promotion, valid in the UK and Ireland from 1 September to 31 December, offers great savings on top-performing microcentrifuges, multipurpose centrifuges and LoBind Tubes. Eppendorf Young Investigator Award 2011: Call for entries! Jul 27, 2010 Until 15 January 2011, young researchers working in Europe who are not older than 35 years are invited to apply for the Eppendorf Award for Young European Investigators. This highly prestigious prize was first established in 1995. It acknowledges outstanding contributions to biomedical research in Europe based on methods of molecular biology, including novel analytical concepts. Simply better pipetting! Jul 1, 2010 The new Eppendorf Xplorer® radically redefines standards for simplicity, precision and ergonomic handling in electronic pipetting. Winner of a ‘red dot: best of the best' award for product design 2010, Eppendorf Xplorer® features an innovative and intuitive operating concept. With precisely adjustable parameters and full control over the pipetting processes, the Xplorer delivers maximum reproducibility of results. Divide and conquer! Eppendorf launches the first segmented PCR plate! Jun 24, 2010 Eppendorf AG offers the first two-component PCR plate designed to be easily divisible, saving material and money when running smaller-scale experiments. These twin.tec unskirted 96-well plates fit almost all available PCR instruments and can be snapped into four separate 24-well segments and the empty wells saved for future use. The Eppendorf Research plus pipette – lightweight, reliable and ergonomic May 17, 2010 In today's research environment, attention on pipettes no longer focuses exclusively on precision and accuracy; instead, user-friendly operating features, which reduce strain during pipetting, have moved into the foreground. Therefore, ergonomics plays an important role for the user. Primarily mentioned aspects are the weight of the pipette and the forces required during use. Included in the handling force are, among others, the force required for attachment and securing as well as ejection of the pipette tip. The new mechanical pipettes of the pipette family Eppendorf Research plus have demonstrated optimal performance in all those areas. User Report on epMotion from the research laboratory of the Institute of Pathology at the Technical University of Munich May 17, 2010 After our work group in the department of pathology in the University Hospital rechts der Isar had established a method for the extraction of proteins from fixed materials embedded in paraffin, we wanted to analyze these samples on a antibody specificity, and to avoid entering the saturation range during quantification, serial dilutions need to be spotted onto the slide. These must be prepared in 96-well and/or even 384-well plates. Transformation of Bacteria and Spreading onto 24-well Agar Deepwell Plates with Eppendorf epMotion 5075 May 17, 2010 Transformation of bacteria with DNA and spreading onto agar deepwell plates has been automated using the Eppendorf epMotion® 5075. After overnight incubation, positive colonies could be observed. The described method is very effective and can be fully automated. It provides significant advantages for all steps of the process of distributing DNA in small aliquots onto agar plates. The method is inexpensive and simple, as we can routinely generate 24-well agar deepwell plates to obtain desired colonies. Performing Cell Growth Curve Experiments with different Substances on the Eppendorf epMotion 5075 LH May 17, 2010 In the present Application Note we make use of the liquid handling system epMotion® 5075 LH to analyze simultaneously the influence of seven different concentrations of three substances dissolved in three different solvents on the growth of the fibroblast cell line NIH/3T3. Three independent experiments were performed and each experiment is divided into 5 steps: Cell seeding, Cell treatment, Culture media change, Fixation and Sulforhodamin B staining and measurement. New Eppendorf LoBind Tubes and Plates maximise sample recovery Apr 21, 2010 Eppendorf launches new Protein LoBind Deepwell Plate 96/2000 µl and extends the Eppendorf LoBind product portfolio to 96-well high volume plate formats. The unique format flexibility enables customers to easily up-scale their experiments and achieve the same high quality results. 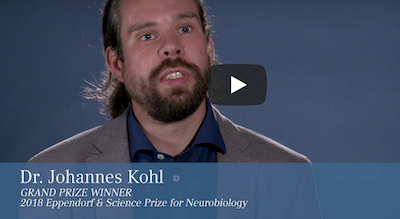 Eppendorf & Science Prize for Neurobiology - Apply now! Apr 19, 2010 The deadline for this year’s entries is approaching fast so now is the time to apply.